Our work can be found in a broad range of industries and in highly demanding functional applications. We know high-end plastics. And we know how to use them to help you save space, reduce weight, shorten lead times, solve problems, improve manufacturability, and add value to your bottom line. Bring us your specialty project with confidence. 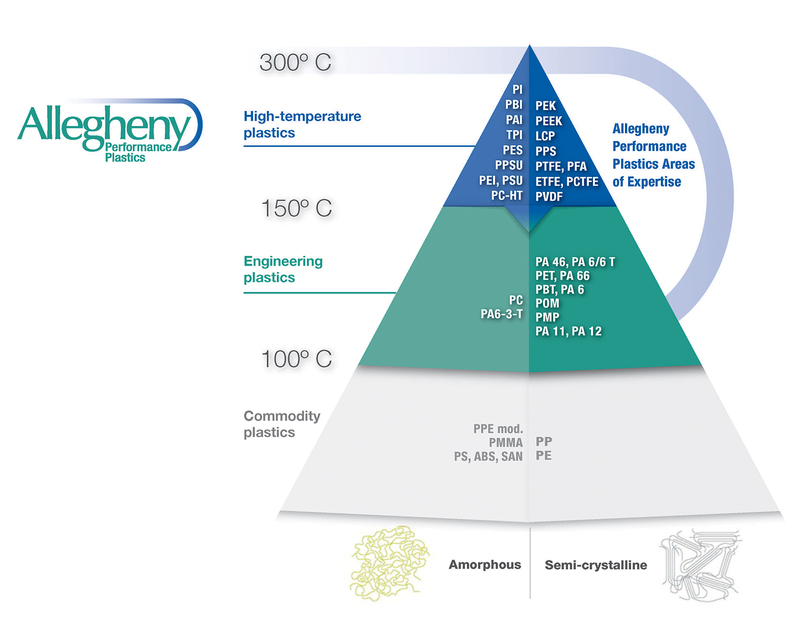 We work primarily in ultra/high-temperature and engineering-grade plastics; some of the most common top-of-the-pyramid plastics are highlighted in the next column. If you have a question about a specific material or need help with material selection, contact us. Click on a green arrow to learn more about a specific material.